How to buy hiking equipment is a subject worthy of discussion. You want the best equipment used for hiking that your hard earned money can buy. But who wants to beat around the bush? and won't make you break out in a cold sweat when it fails on the trail. Let's start out with the basics of acquiring the best hiking gear for your hiking plans. You want to walk into a gear store, real or virtual, and know what you're doing, right? 1. Read up on the piece of gear you're looking for. This website, for instance, is brimming with advice and ideas from a veteran hiker. Start at the site map to locate the object of your desire: backpack, boots, tent. Be prepared for the "kid in a candy store" effect to kick in quickly. How many liters do you want in a backpack? What is your torso length to select the backpack? How much money do you want to spend on the backpack? By knowing your numbers, you will save time and keep the salesperson in good humor. Or if you're on line, you can drill down quickly to the exact piece of gear you want to comparison shop. A good gear website will allow you to do a side-by-side comparison of gear for features and price, like REI does. 3. To buy hiking equipment, yet acknowledge the fact that you might not know what you're doing (yet), only use gear stores that carry equipment rated highly by hikers, not magazine editors. The Clymb is one such place, offering almost too good to be true discounts. And stick to reputable brands that back up their products! 4. Part Two of choosing great gear stores is their customer service and most importantly, their return policy. Be sure you like the way you're treated during - and after - your gear quest. Be sure to return the favor: only return something when you have to. Why abuse a good neighbor? 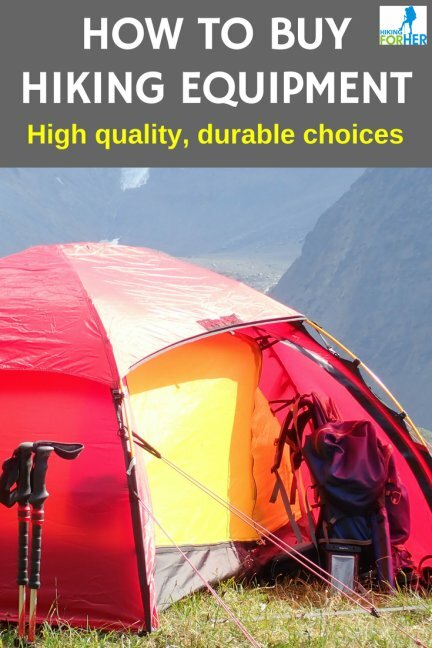 Rugged, durable, functional and affordable hiking equipment takes some research! It depends on who you ask, of course. 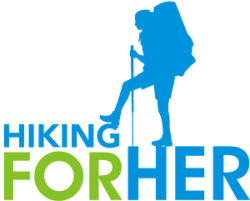 As a trail veteran with 5 decades (not a typo) of all types of hiking under my belt, I'm going to give you the truth. Something sturdy on your feet, and something to carry your ten essentials plus food and water for the hike, will get you going on well marked, reliable trails. No need to jump into this hiking clothing and outdoor equipment with both feet just yet! Read through this list of best hiking gear. Pick somewhere to start, and get to work on Your 4 Step Plan (above). Newbie day hiking advice can be found here. And if you've done some backpacking but want to up your game a notch or two, read these intermediate backpacking tips. Buying good hiking equipment is a never ending process, kind of like keeping your toenails trimmed (a hiking boot best practice for the trail, by the way). It's a task that never goes away. And that's a good thing, because it's something that keeps you safe and comfortable on the trail. The most important thing you need to buy the best hiking equipment and gear for your style of hiking is a mentor. Attach yourself like a burr on a dog to a willing hiker who has plenty of years on the trail. Take note of the hiking equipment s/he uses. Watch how your mentor handles gear failures. Here's the guy I recommend for detailed gear reviews, because he's very dedicated to taking the best hiking gear he receives from gear companies and trying to max it out. 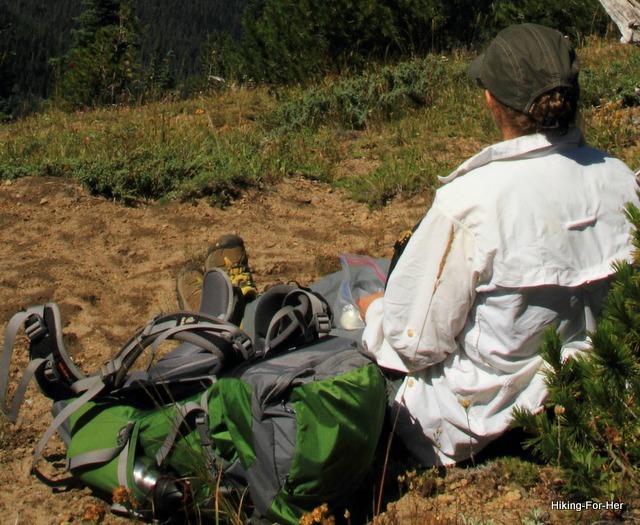 While Hiking For Her doesn't have the impressive backlog of gear reviews that Section Hiker has, a woman's perspective on hiking equipment can be found in my own humble gear reviews. And for even more gear reviews, you can't go wrong with Outdoor Gear Lab﻿. They strive to provide you with the data you need to make serious hiking equipment buying decisions. It's called Metamorphosis, because you're guided through every stage of becoming a seasoned, smart and confident hiker. You can select exactly how much, or how little, mentoring or coaching you need, on your own time frame. Buying hiking equipment and gear is a learning process, no way around it. But if you look in the right places for advice AND gear, you will be less likely to make major hiking equipment mistakes. It can also be a fun process, watching how your hiking equipment needs change in response to your expanding hiking skills. Have specific questions about a piece of gear you're considering? Send them to me and expect a personalized, detail answer! It's just one small way I like to pay forward all of the excellent hiking mentoring I received in my distant past. More gear tips for you here!